For years now, we’ve associated the word “Ippudo” with two things: excellent ramen, and waits that can feel like brief eternities. And nothing has really changed about this. You can still find some very good ramen here, and you’ll still encounter a wait when you stop by this noisy, dimly-lit East Village spot (because they don’t take reservations). The thing is, there’s a lot of other great ramen in NYC. 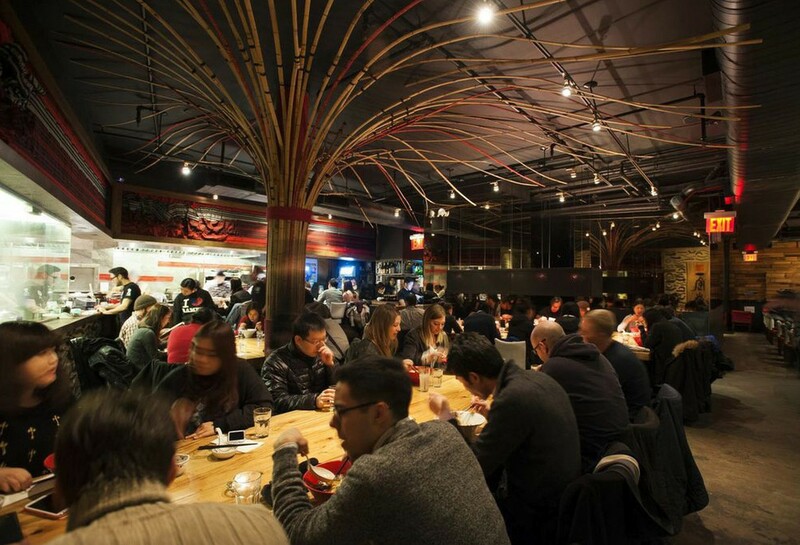 So is Ippudo still worth the wait? That depends. If you haven’t been here yet and you’re on a mission to try all the good ramen in the city, then the answer is yes. You should also stop by if you have time to kill, and are looking for some good food in the East Village that isn’t insanely expensive. Just put your name in, then go wait at a nearby bar like Black & White. Once you get seated, start with some crispy fried chicken and the pork buns that come with thick slices of pork enhanced a good amount of mayonnaise.